Join Fleming’s Prime Steakhouse & Wine Bar (25 E. Ohio St., Chicago; 312/329-9463; and 960 Milwaukee Ave., Lincolnshire, Ill.; 847/793-0333) every Sunday in January and enjoy the Sunday Prime Rib Dinner for $29.95 per guest (excluding tax and gratuity or wine). 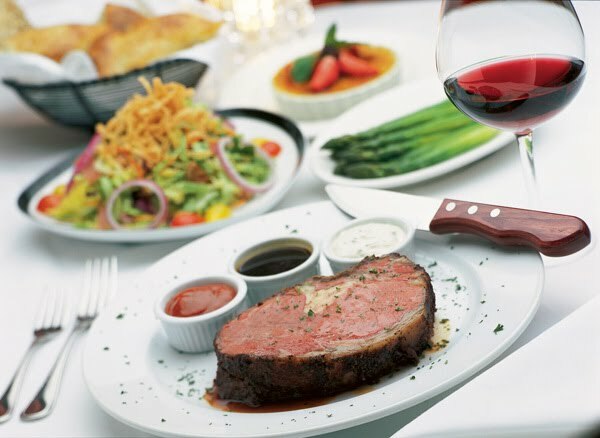 The Sunday Prime Rib Dinner is a 3-course dinner featuring 12 ounces of succulent Prime Rib served with a trio of sauces: Au jus, Horseradish and Dijon; choice of The Wedge, Fleming’s or Caesar salads; one side dish and dessert. The popular Fleming’s “5 for 6 ‘til 7” bar menu offers 5 premium cocktails, 5 award-winning wines by the glass, and 5 signature appetizers— all priced at $6 each—a stellar value. The menu is also available all night Feb. 6, the evening of the Big Game (5 for 6 ‘til 7 Bar Menu typically available only until 7 p.m., 7 days a week). Fleming’s is the perfect location to watch the AFC/NFC Championship Game on flat screen TV’s at the bar. Nationally acclaimed Fleming’s Prime Steakhouse & Wine Bar offers the best in steakhouse dining – Prime meats and chops, fresh fish and poultry, generous salads and side orders—with a unique wine list known as the “Fleming’s 100™” that features 100 wines served by the glass. For more information about Fleming’s Prime Steakhouse & Wine Bar and the Fleming’s 100, please visit http://www.flemingssteakhouse.com/.